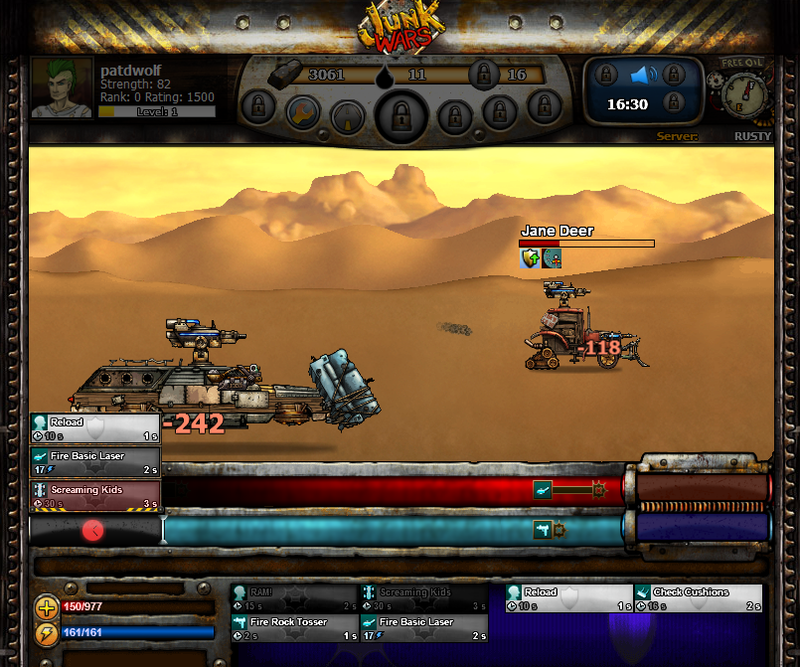 Action-strategy game where you build vehicles out of junk parts to battle other pilots. 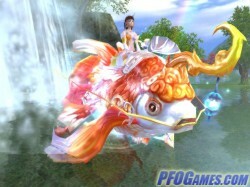 Set in a post-apocalyptic world with cartoonish graphics. 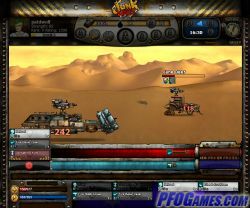 Unlike stats-based combat, in this game you line up your defensive, offensive and maintenance maneuvers during battle, matching your opponents' visible upcoming attacks. Battle for in-game prizes, parts, and better stats.